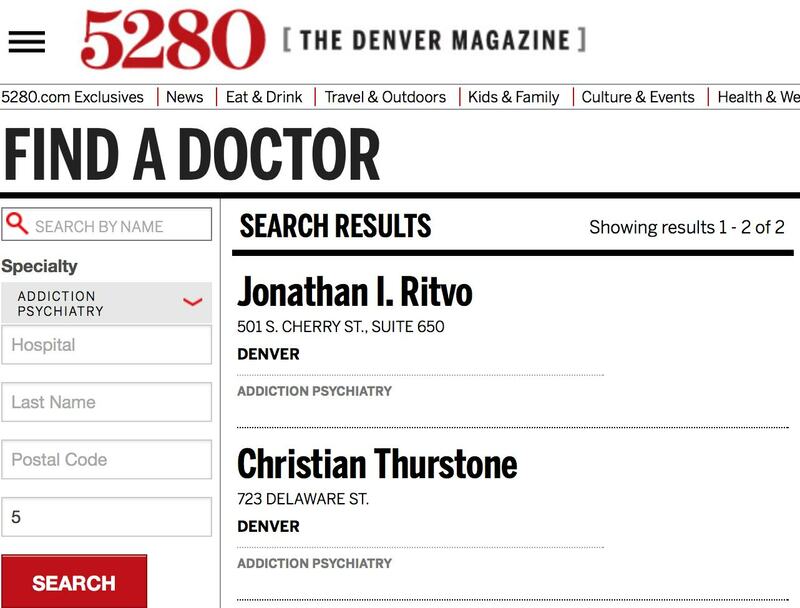 I’m humbled by the praise of my physician peers, who named me among Denver’s “Top Docs” in this month’s edition of 5280 magazine. To those of you who thought of me and took the time to cast this vote of confidence in my work, thank you so much. For the third time, I’m listed in the addiction psychiatry section along with Dr. Jonathan Ritvo, medical director of the Center for Dependence, Addiction and Rehabilitation (CeDAR) at the University of Colorado Hospital. Dr. Ritvo is a brilliant clinician from whom I have received outstanding training. It is a great honor to see my name alongside his. Parents Opposed to Pot greatly appreciates all the work you do to tell the TRUTH, and set the records straight!